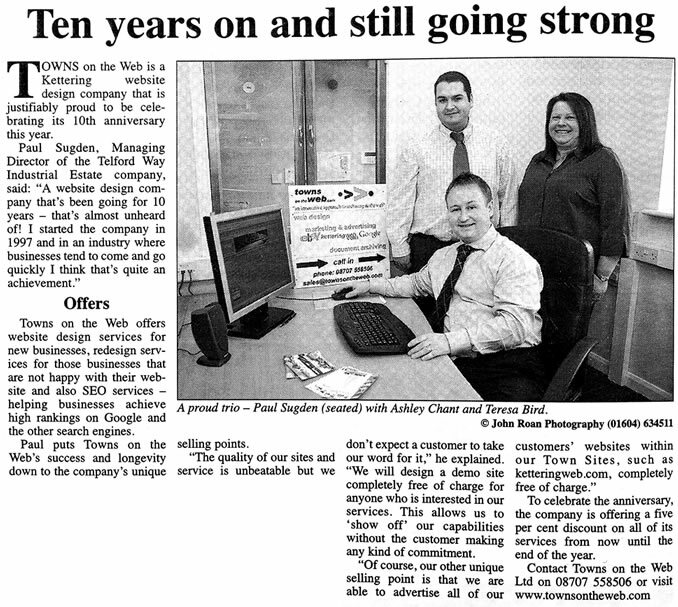 Towns on the Web Ltd will be moving premises in July. We will be moving to the Telford Way Ind. Est. The larger offices will allow us to expand and enable the TOTW team to grow. IPA are a joint UK and Bulgarian investment agents. They are now fully running and frequently adding new properties. Towns on the Web Ltd provide web design, programming, e-commerce and web hosting services. We specialise in Web Design for Northamptonshire Towns and surrounding areas, we have developed numerous sites for individuals and various size businesses in Rushden. For examples of our some of our Web Design in Rushden please take a look at our Portfolio. Why choose Rushden Web Design with TOTW?